Anheuser-Busch - Bottle Line 34 - S. M. Wilson & Co. Anheuser-Busch - Bottle Line 34 - S. M. Wilson & Co. The “Out of the Box” project included the demolition and replacement of a 45,000 SF, six-inch slab with a new multi-grid pitched slab. 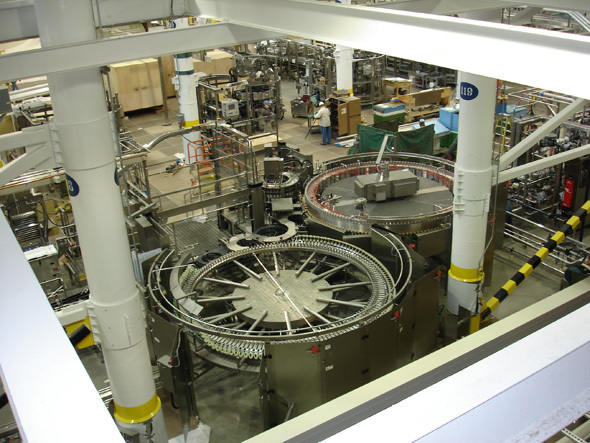 Due to the fact that the production center was running 24/7 during the duration of the project, S. M. Wilson & Co. had to take special precautions to make sure the construction did not interfere with production lines next to and below the construction area. 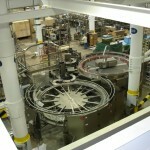 For the “In the Box” project, the new Bottle Line and the associated equipment had to be assembled and installed. 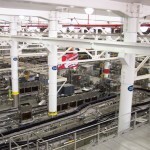 Considering the weight of some of the equipment being installed, S. M. Wilson and Anheuser- Busch Corporate Engineering had to take into account floor loading, and special rail systems had to be designed and built for aiding in unloading and moving the equipment. 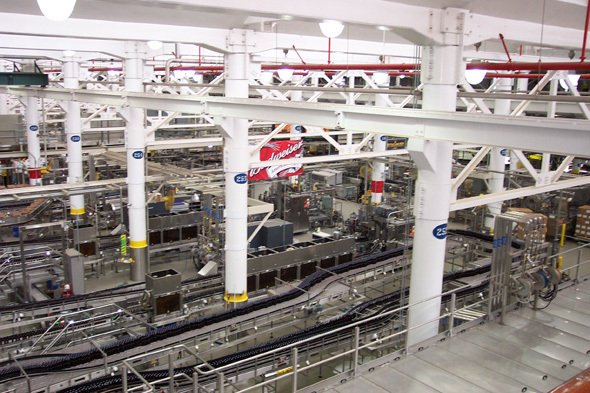 Due to excellent team planning and communication S. M. Wilson was able to turn the Bottle Line 34 project over to Anheuser-Busch in 17 weeks compared to the original 20 week construction schedule.